Affiliate Marketing : Of course, ad blocking eats up a significant chunk of the effort you put in meeting your buyers. But alternatives are always available. This is what affiliate marketing does for you. It’s primarily referring people to products and services that are not your own. And then you receive a commission if people act on those referrals or sign up with you. Usually, this works through a link in affiliate marketing. NO need to own any services. Just open a website and sign up for an affiliate marketingprogram! These are free. So, if you think affiliate marketing is not for you, think again. Affiliate marketing allows you to open a revenue avenue without worrying about any new marketing initiatives. There are many myths around affiliate marketing comes a slew of myths. Hence, you need a guide, a provider who tells you exactly how to go about it. 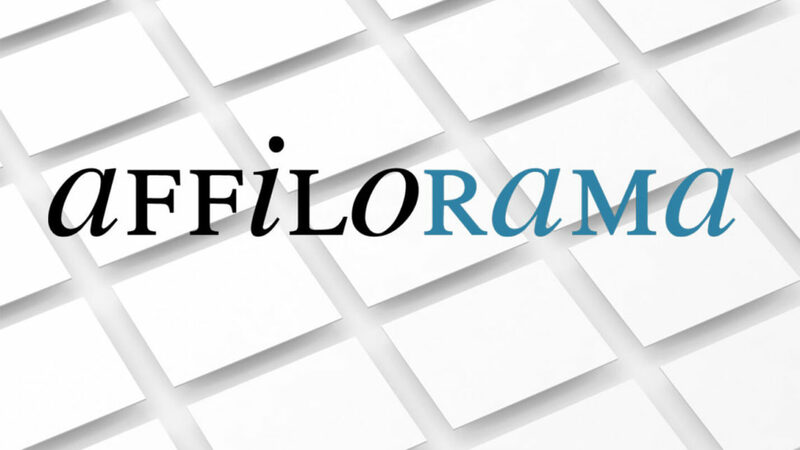 In this review, we talk about Affilorama and find out what it does for you. Affilorama is an online course with tons of videos, spanning hundreds of hours with training lessons on affiliate marketing. Started by Mark Ling in 2005, the name behind Rocket Piano and Jamorama, the website is your step-by-step guide to building a successful affiliate online business. That said, you have to keep patience. While Affilorama holds your hand through all lessons of affiliate marketing, it takes a while before you make a lot of money. You will make money, but if you want something quick, you might want to consider some other options. Whether you want to make some extra money online or work with another affiliate marketer, Affilorama is for you. If you are looking at something cheap, this isn’t for you. If you are looking for something quick, this is not for you. This is for anyone and everyone who wants significant returns and is willing to wait. Affilorama will guide you through the first step. The course ensures that your basics are clear before you get on with affiliate marketing. First the theory, and then the practical knowledge. This can be frustrating for marketers who eventually hop to something like a ClickBank, Affiliate Marketing or Amazon Affiliate Marketing. However, Affilorama promises returns with a bit of patience. Step #1. Become a member. You can go with the Free Membership which will tell you everything you need to know about affiliate marketing. And then you have the Premium Membership with loads of video courses for in-depth knowledge about the introductory topics. There is more value in the Premium membership; it provides you with extensive knowledge. The one problem here is, the up-sells turn out to be expensive. When you are already paying for Premium, it can be a big turn down. You don’t want to pay extra for more features. And you have to because the features are quite compelling. *The prices reflect as on date of this article. This is where you know what is happening on your website. Where are your efforts going with your SEO strategy in place? Are you getting the returns you had expected? This is what AffiloTools essentially help you with. This module automatically tracks your rankings and does it in great detail. You can see these results in more search engines with more comprehensive data rankings. Yes, this works very similar to Google analytics tool. AffiloTools gives you everything you need to know about your exact movement in search engines. So, basically you know exactly what your strategy is and if it’s working for you. The impressive thing about AffiloTools is that you have a graph that tracks your positions over time according to your keywords and searches. Note: You can even track your affiliate sales or merchant earnings for over more than three months. AffiloTools stores your real rankings against your actual traffic data. This helps you understand which keywords and positions are most important to your business. The rankings can be different according to countries and search engines, and you get all this information in detail with AffiloTools. Step #3. What is Affilorama Premium for? Before you look any further, this is one membership that helps you through a lot of stuff that you need to know about affiliate marketing. The Premium Membership offers the latest affiliate strategies to help you stay ahead of the curve. Fresh content each month including webinars, interviews with web millionaires, etc. A web-magazine each month with comprehensive articles on particular sub-topics of affiliate marketing. This is where you get all the exciting stuff that helps you put your website together. They have high-converting opt-ins, squeeze pages and of course, SEO-friendly layouts. They give you six incredible themes in this package, and the flexibility is pretty impressive. Even better, they make incorporating Aweber, GetResponse, and other autoresponders into your site a breeze. They also make your links shorter for higher conversions. How? Find out more here. This theme also includes an elaborate Custom Graphics Creator tool. The tool helps you create stunning headlines, guarantee certificates that can make your website more impressive, high-converting order buttons, and more. Not to forget, with AffiloTheme you get reliable and free hosting for one site for one year. You just have to add a domain name into the mix and Affilorama helps you with the rest. We found the this to be pretty engaging with turbocharge opt-in rates, easy ways to redirect subscribers to free report, and iron out any hiccups that come with website creation. The one thing we like about AffiloTheme is that you get access to people who think alike through their Community feature. They have an active members’ community to help you learn tips and tricks of the trade. Step #5. What is AffiloBlueprint and is it worth the investment? AffiloBlueprint is a collection of videos spanning over hundreds of hours covering a multitude of topics. This bring with it 85 videos, 13 lessons, and talks about everything from affiliate marketing, to free traffic methods including but not limited to marketing and research, SEO, and PPC through the content network of Google. In addition to this, AffiloBlueprint allows you to look into exactly how Mark Ling build his affiliate website. Yes, quite literally from scratch. It’s more like a guideline to start your website. The videos come with a task for you to complete in the end so that you are as involved and engaged in it. It tells you what to do with proper handholding. This is what we liked the most about it. In addition to that, you have 6 WordPress themes which work best for SEO and PPC. The Glitch— Do not expect any support in AffiloBlueprint. For additional help, you have to pay more. (Check the website for updated prices). Before you decide to invest in this, you might want to look at the other upsells offered here. And if you are already a Premium member, there’s not much extra you will get from AffiloBlueprint. So, if you want value for your money, maybe go with something like a Premium and then switch to the other options by skipping the AffiloBlueprint. Step #6. What is AffiloJetpack? Why should I buy it? While Affiloblueprint is your step-by-step to understanding how to build your website and make use of affiliate marketing, AffiloJetpack is your pass into the “niche”. This package is a collection of high-quality websites (mostly complete for you). Mark has created this kit to help you with the promotions of his products. This pack is like the practice of the theoretical knowledge you get in the BluePrint pack. We were quite interested in this one as Mark has found a very innovative way to train you here. The graphics are professionally designed, and you get one-click hosting free for one year. Content: You have access to a wide variety of content including blogs, videos, etc. to understand the basics of affiliate marketing. If you are in two minds about affiliate marketing, there are infographics and blogs to help you. The website itself has loads of information to answer all your questions. Site Building: What are the specifics you need to know about building websites with the right theme, SEO tools, etc. Get all the hands-on information you need. Marketing Ideas: They also give you ideas for your promotions. This works well for amateurs just entering the arena of affiliate marketing. Outsourcing: Once you become a successful marketer, learn how to lessen your burden and work smoothly through outsourcing. Find out how you can hire the right people and tricks of the trade. If you are looking at something easy and explanatory, it’s worth it. Comes with software applications which are quite detailed. The free option gives you access to the basics without much investment, but this is not detailed. Just pay for a single Premium program for three years. There will be too many options that might confuse you. The plan can cost you way too much if you are looking for all kinds of offerings. The bundled hosting is a great tool to test out new themes and plugins without having to spend extra. Expect some occasional bugs here. Don’t let its inception year, 2005, trick you into thinking it’s not an updated program. There is so much to experience as Mark keeps the site pretty updated. One thing you have to give Affilorama, it’s many things packed in one. Not only is it a training website for affiliate marketers, but it’s also a great place for starters to know more in-depth about upsells. If you’re in two minds about this, we’d say go with the Premium Plan but avoid unnecessary inclusions to your business. Some of the features like PLR content and the focus on advanced backlinks are old features. But mostly, the course has some interesting techniques.